“Distilled in 1997 and aged for 16 years in a single sherry hogshead, the whisky has been bottled at natural cask strength and only 96 bottles have been filled and made available. Colour: Dark mahogany, burnt orange. Nose: Deeply sherried, relaxed leather chairs, a touch of damp straw. Palate: Thick, amazingly accessible for the abv, mouth coating with a good amount of barley. Slight cola cubes. It’s sweet but not so much that it’s too much. Enough spice to keep you happy. Finish: Soft and long, gentle sunned raisins stick to your palate. Kind of slightly fizzy. Water: Doesn’t seem to need it, but can take quite a lot without making much difference, it brings out the wood notes a little more. Thoughts: Fabulously balanced and enjoyable dram, a proper late evening whisky to stick your feet up with. A Ben Nevis at the top of it’s game. Thanks to Abbey Whisky for the sample. 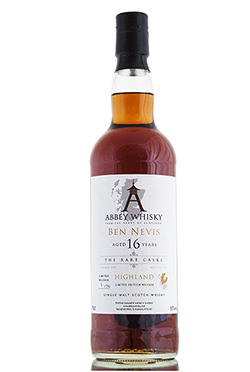 This entry was posted in Review, Whisky and tagged Ben Nevis. Bookmark the permalink.